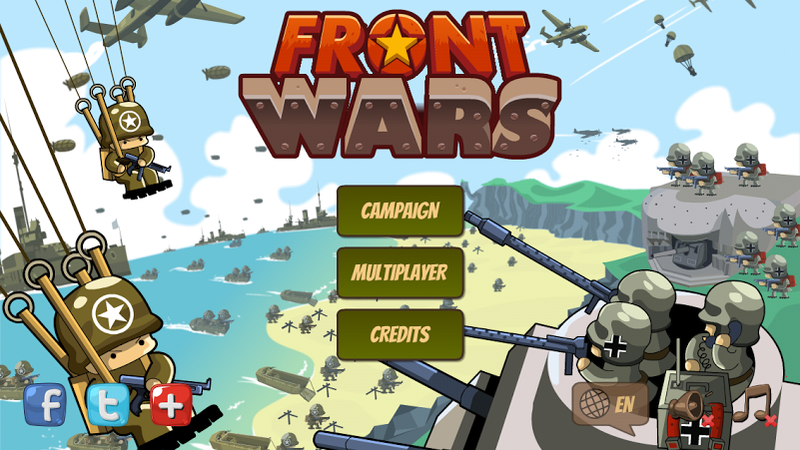 Front Wars was released January 23, 2014 and has already seen several updates. Look for more updates in the future. – Minor adjustments to UI. In particular, the pre-battle damage calculation presentation needs tweaking since the calculations sometimes cover each other up and sometimes even appear off-screen. – Needs naval warfare. There were ships in WW2, so it makes sense to have ships in a WW2-based wargame. 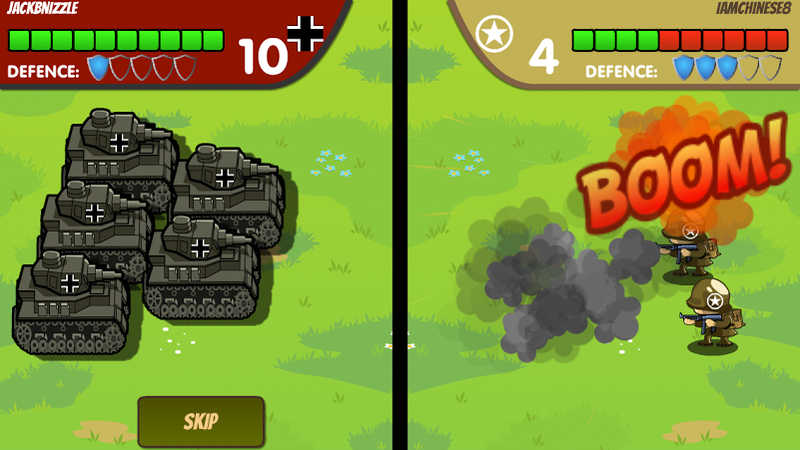 This game is very similar to the Advance Wars series, but it differs in several subtle-yet-important ways. There are especially many interesting tweaks related to base capturing. – Transports in base capturing – Front Wars includes transport trucks and airplanes that commanders can use to carry troops across the board. 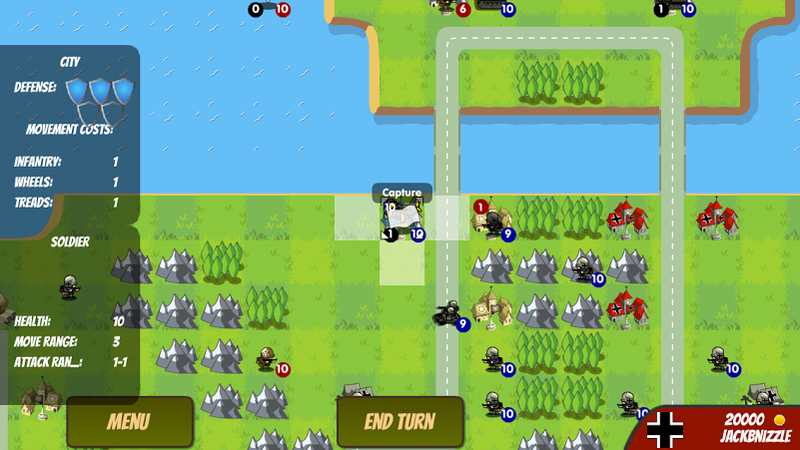 In most TBS games, capturing a base with troops loaded into a transport is a two-turn process. Turn 1, drive within walking distance of the base and drop off troop. 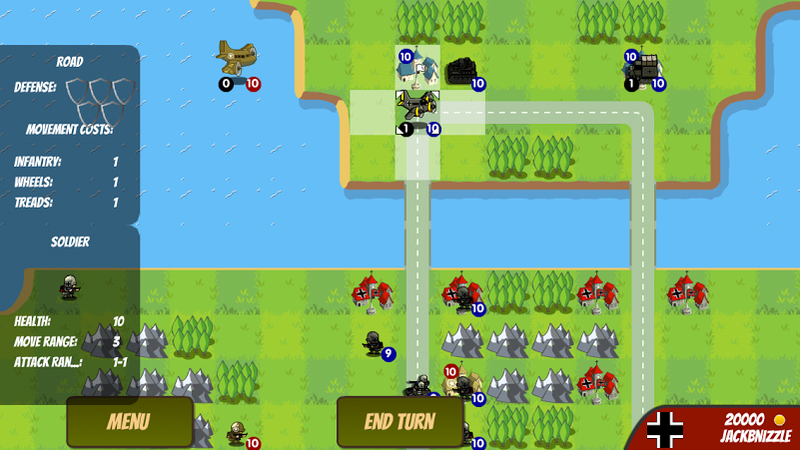 Turn 2, move troop onto base and begin capturing. 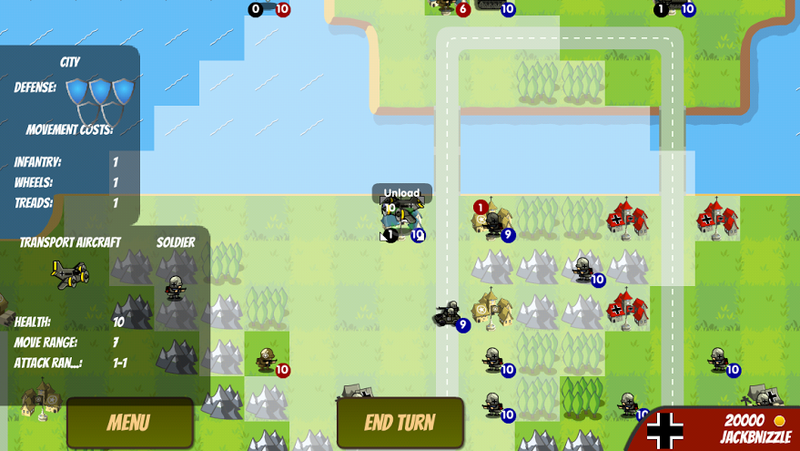 – You can move units after they’ve captured a base. – Lest this create massive confusion, let me clarify: you can only move units who were already on the base before they captured. So, take the airplane pictured above. It was on that base the previous turn, so this turn, I completed the capture. Since it was on the base from the turn before, I can now move it off the base. I’ll use the airplane elsewhere next turn, so I’m going to drop off the troops. Voila! In one turn, I captured a base and dropped the troop at another base to capture next turn. This is an incredibly powerful tactic. If you don’t use this, you’ll get slaughtered by those who do. – Base capturing progress stand even if troops vacate the site mid-capture – This is yet another defining element of Front Wars. 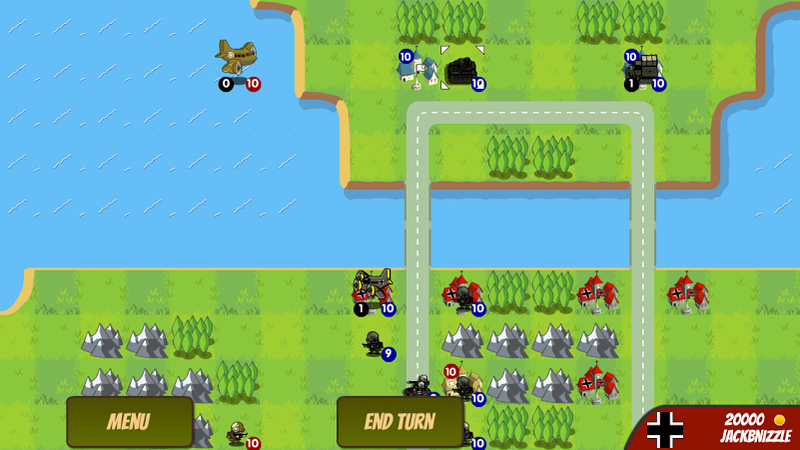 If you are familiar with games like Advance Wars, you know that when capturing a base, you must stay on the base. If you leave the base or your troop gets destroyed mid-capture, you lose all your capture progress. Not so in FW. In FW, capture progress stands even if your troop leaves/gets killed. So, for example, consider this scenario: you are within 12 mp of capturing a city with a 9 mp troop, but the enemy is about to capture your precious factory with a 4mp troop. You only have two units in range – the 9 mp troop capturing and a piddling 2 mp troop. The 2mp won’t destroy the enemy’s unit; the only way to stop the capture is to use the 9mp troop. Good news! You can take the 9 mp troop from the city it’s capturing and attack the 4 mp troop, stopping the factory capture. The city remains at 12 mp, so next turn you can move the 9 mp unit back onto it and resume capturing. Nifty stuff. However, it should be noted that if you stop capturing a base for more than one turn, it will begin regaining MP at a rate of 2MP for each turn you’re not capping. So, if you wait too long to get back to capturing, you could find yourself in a position of seeing all your capturing reduced to nothing. – All ammo/fuel is infinite – This isn’t exactly crucial information but rather more like trivia. In most TBS games units can run out of ammo/fuel the longer they are deployed. In FW, all units have infinite resources, so that is one less thing for players to consider. While this streamlines gameplay and makes for simpler decisions, the lack of diminishing resources actually removes a level of risk and thus weakens the strategic experience. Mind you, it doesn’t ruin the game. Simply, if diminishing resources were implemented the game would be even more enjoyable. 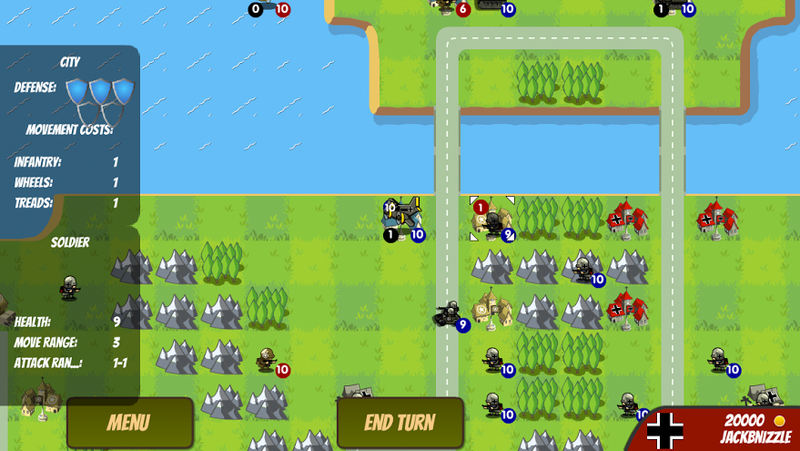 I love the Advance Wars series, but I’ve never had a way to play online, asynchronously. Since Nintendo hasn’t released a new AW game since the advent of ubiquitous online gaming, many games have come to fill the void. 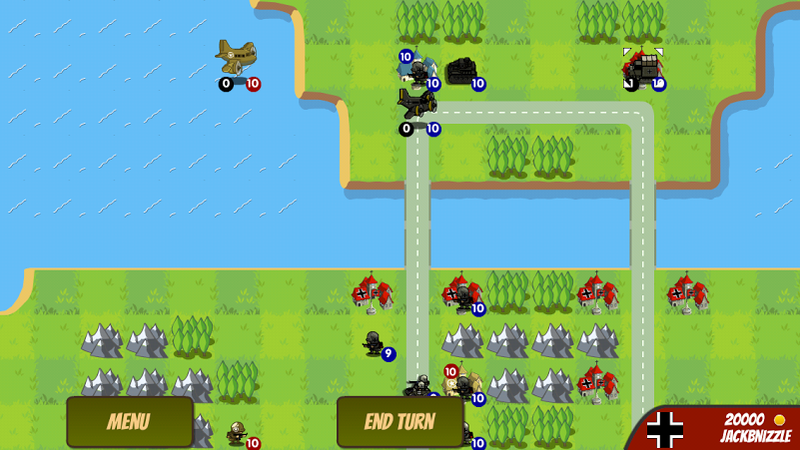 No game recreates the fun of classic AW moreso than Front Wars. While many TBS titles are moving toward hex-based combat, this one features square-based boards, a critical component for anyone seeking the full AW Monty. 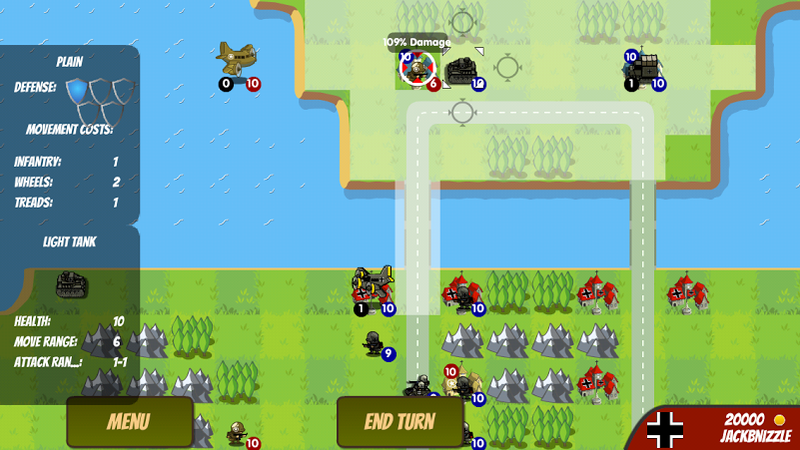 Though being one of the newest iOS TBS titles, Front Wars is already my favorite. UPDATE 7/3/14: An update was released today that fixed a base-capture glitch previously noted on this blog. A fun game just got even better. Happy Front Wars everyone! !